This stunning detached family home is nestled into in a desirable Cul-De-Sac location. Being presented for sale in immaculate condition both inside & out this fabulous property has been greatly improved by the current owners. 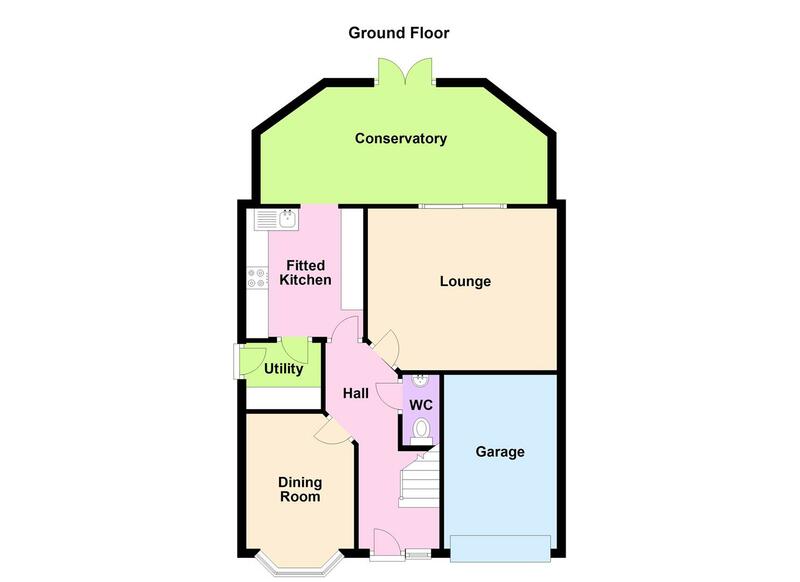 Entering into the hall you will be greeted with a staircase leading to the first floor & access into the downstairs cloakroom where there is a wall hung wash hand basin & WC. The dining room is located to the front aspect, perfect for formal family meals & entertaining, this room is lovely & bright room a Bay window. The lounge is a cosy space with neutral decor, feature fireplace & sliding door leading into the conservatory. This addition runs the complete width of the back of the home & creates the most wonderful versatile open space, currently being utilised as a further dining & sitting area overlooking the manicured rear garden. Beautifully refitted with a range of white gloss wall & base units with a granite style work surface, the kitchen has plinth lighting & sink drainer unit. A chef's delight - there is everything you need, integrated oven, hob & extractor fan, fridge freezer, built in dishwasher & moving into the utility room there are matching units & plumbing for a washing machine. 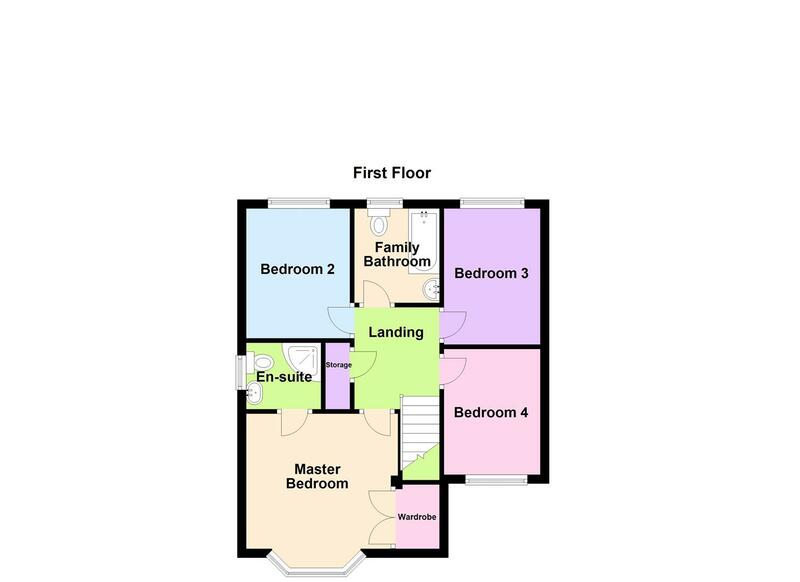 Travelling up to the first floor you will find a handy cupboard for storage & four, well proportioned bedrooms. Three of which are doubles & a good single bedroom. The master bedroom not only benefits from a double fitted wardrobe but also a stylish re fitted en-suite. With a vanity, counter top wash hand basin, low level wc & shower cubicle it really is a corner of luxury. Over in the family bathroom is a white suite comprising of a bath with overhead shower, pedestal wash hand basin, low level wc. Externally to the front is a maintained front garden, off road parking & a single garage. A side access gate leads to the landscaped rear garden, a beautiful area with a shaped & edged lawn, flower borders, stepping stones, shed & both patio & decked areas. Broughton Astley is a lovely south Leicestershire village, it benefits from three Primary Schools, Old Mill Primary School, Hallbrook Primary School and The Orchard Primary School and it also has a highly regarded secondary school called Thomas Estley Community College. There is a local bus service which runs throughout the village going into Leicester and Lutterworth. Broughton Astley has a village centre with a collection of shops, a library, a garage, a cafe and a health centre to name a few. A popular place to live that has every thing on your doorstep.